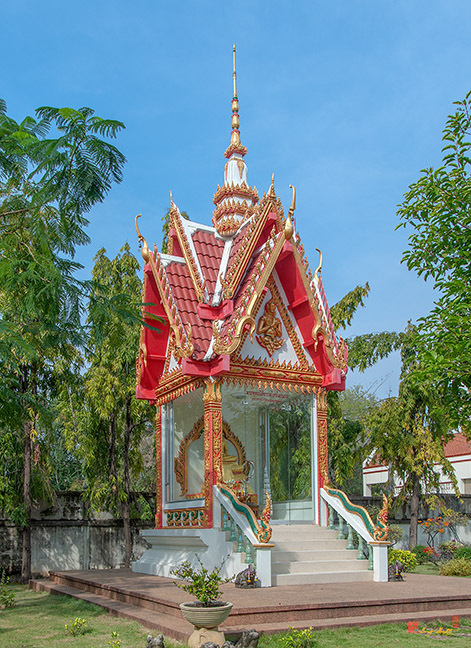 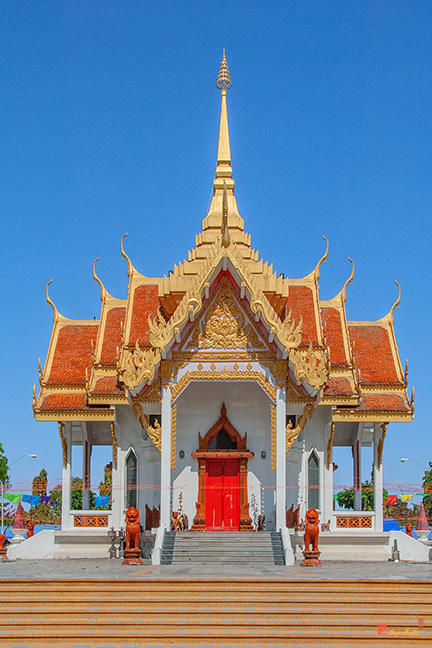 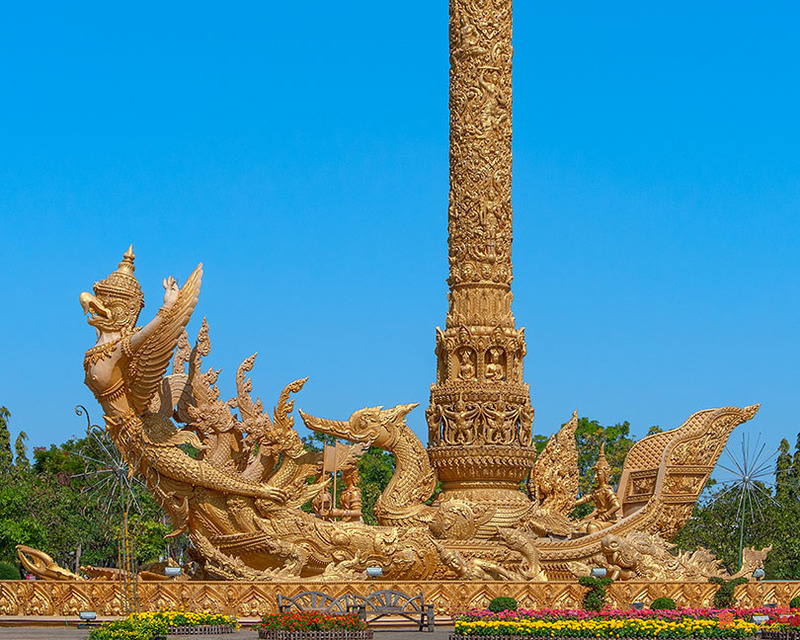 Thung Si Muang Park (Suan Thung Si Muang), สวนทุ่งศรีเมือง , in central Ubon Ratchathani city. 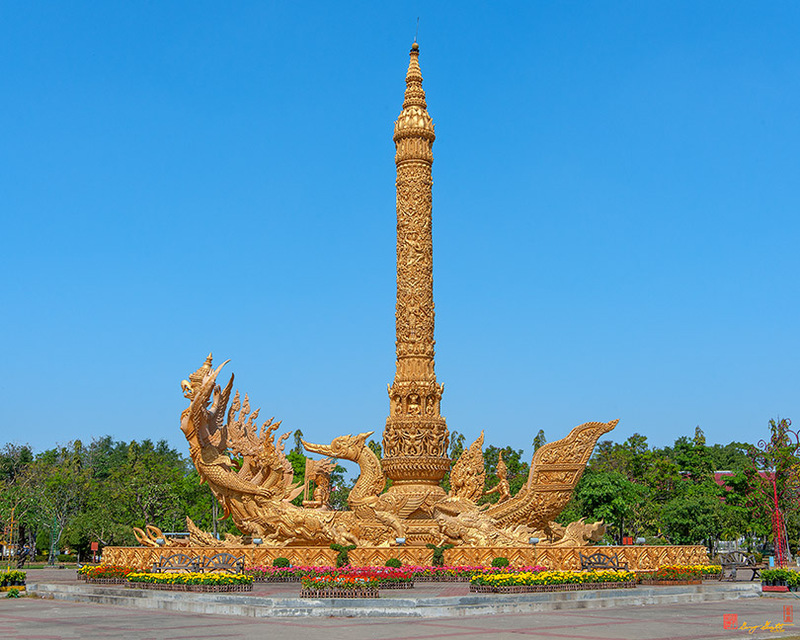 There are two prominent features of this park, the Giant Candle or Merit Sculpture and the City Pillar Shrine. 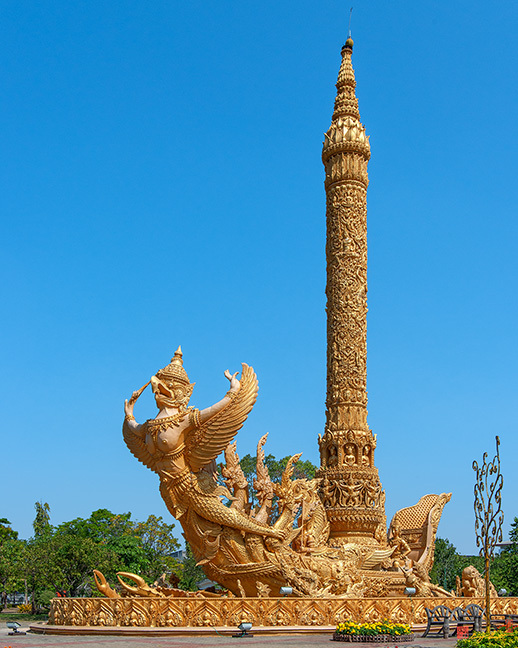 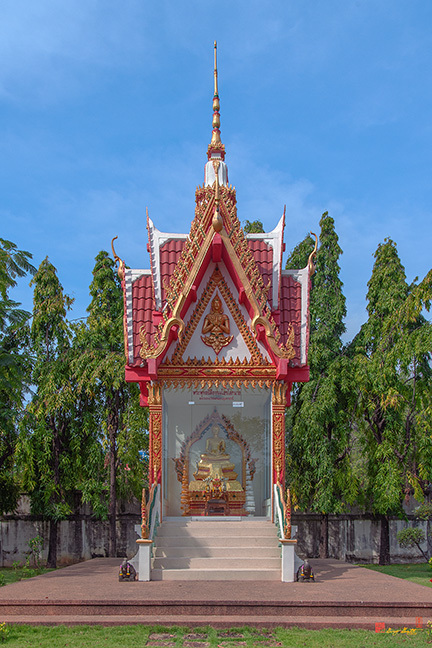 The Giant Candle monument is a permanent tribute to the Candle Festival held every July in Ubon Ratchathani at the start of Khao Phansa (Buddhist "Lent") when all monks retreat to the temples. 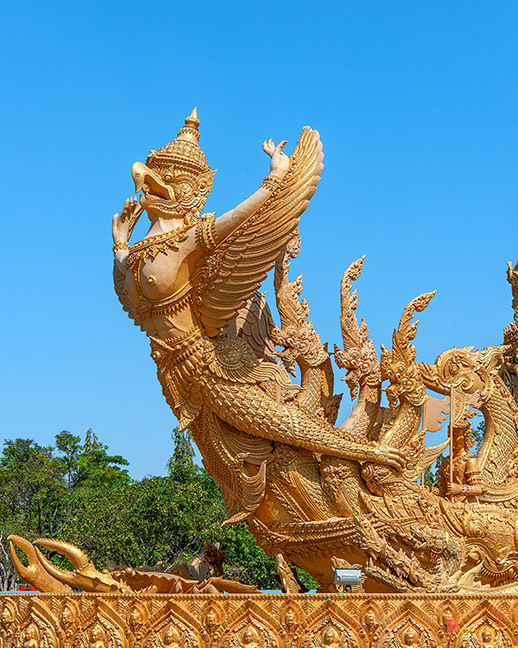 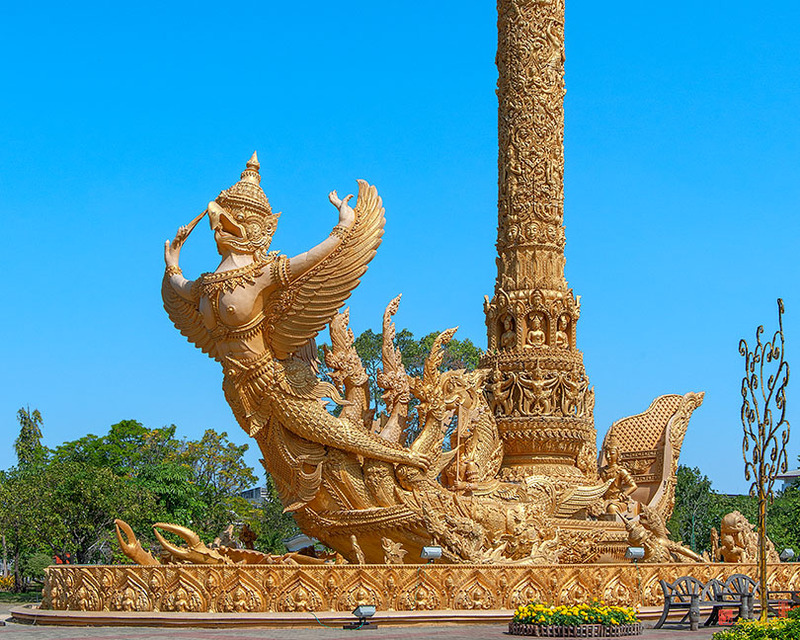 the Candle Festival involves a display of elaborately carved beeswax candles, created by local artisans, which are carried throughout the city and displayed in Suan Thung Si Muang before being presented to the local temples. 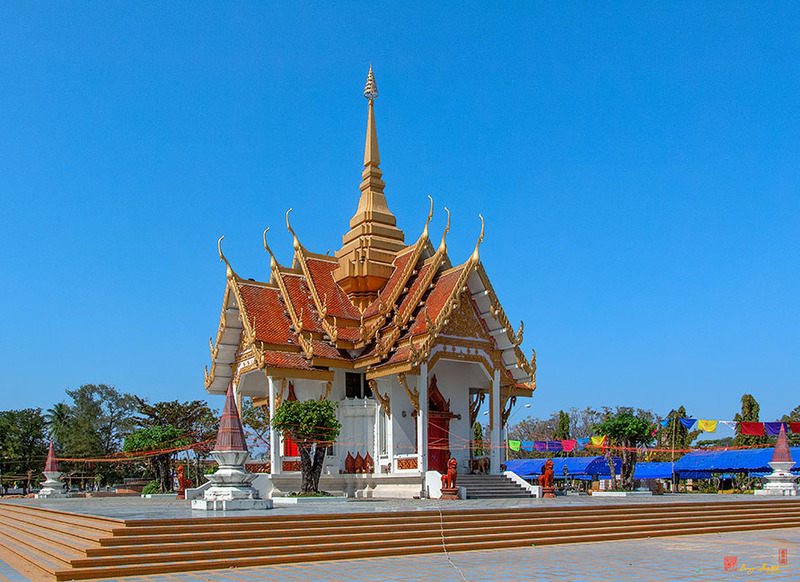 The festival also includes demonstrations of local folk arts and skills and cultural performances as well as beauty contests and dramas portraying the life of the Lord Buddha.